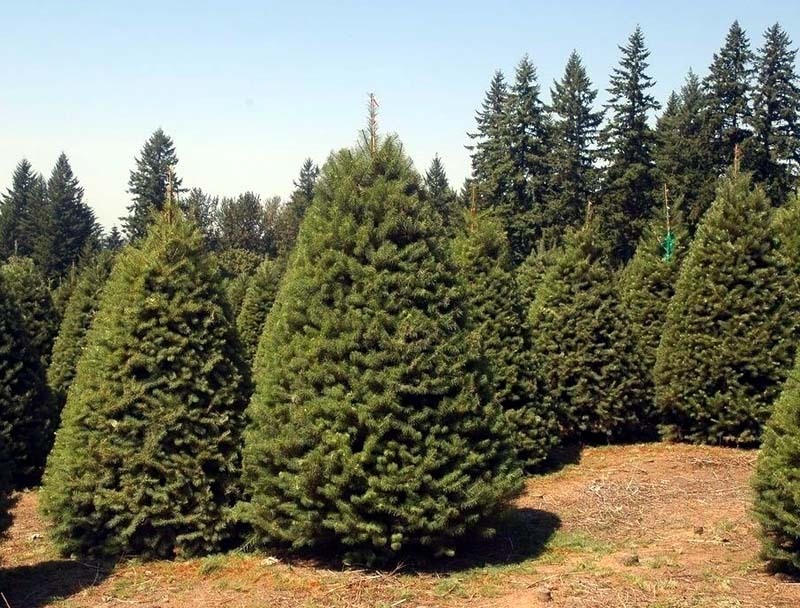 Nearly 30 million real Christmas trees are sold each year in the United States. Most of these are grown on tree farms, and the types of Christmas trees they grow vary by region. 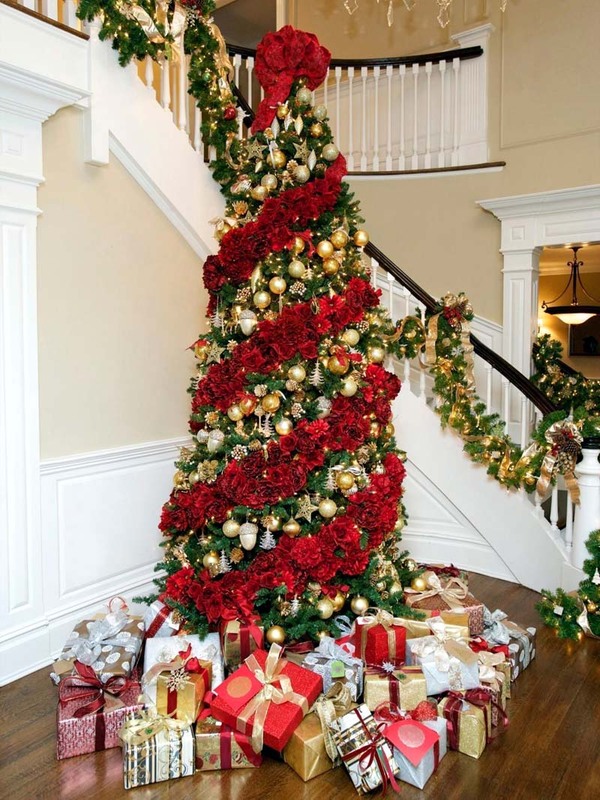 The ideal Christmas tree is one that grows quickly, has sturdy branches, and retains its needles after cutting. Want to grow your own trees for the holidays? 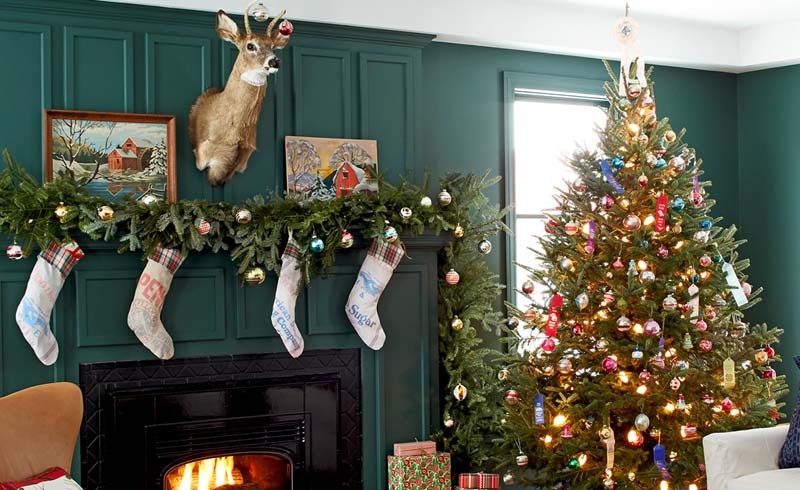 Try one of these popular Christmas tree types. The long flexible needles on Eastern white pines remain on the tree long after it’s been cut, so you can put up these trees as early as you like. White has minimal fragrance, which may be good for allergy sufferers. They grow as much as two feet per year, so this tree will be the perfect size for decorating in a short time. It tolerates most types of soils and conditions, and is beloved by wildlife. Need a tree that thrives in colder climates? Balsam Fir is the way to go! 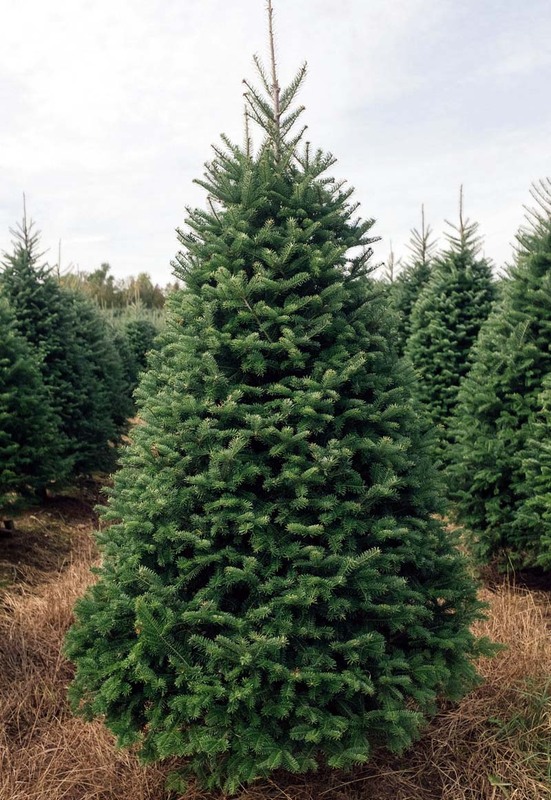 This tree demands cooler temperatures and moist soils, making it a popular Christmas tree types in northern areas, where it grows about a foot per year. The needles are highly fragrant, and are used outside of Christmas to stuff pillows and create other scented gifts. Don’t be alarmed by blisters on the bark of young specimens; this is the “balsam” resin the tree is named for. This resin is used as a rodent repellent, essential oil, and in the preparation of microscope slides. This is the preeminent Christmas tree type in the Pacific Northwest, and very popular in other parts of the country too. The Douglas fir (not really a true fir due to the scales on its cones) has two varieties, one found in northwestern coastal areas and the other in the Rocky Mountains. Both are excellent choices for decorating, with long-lasting needles and robust branches. 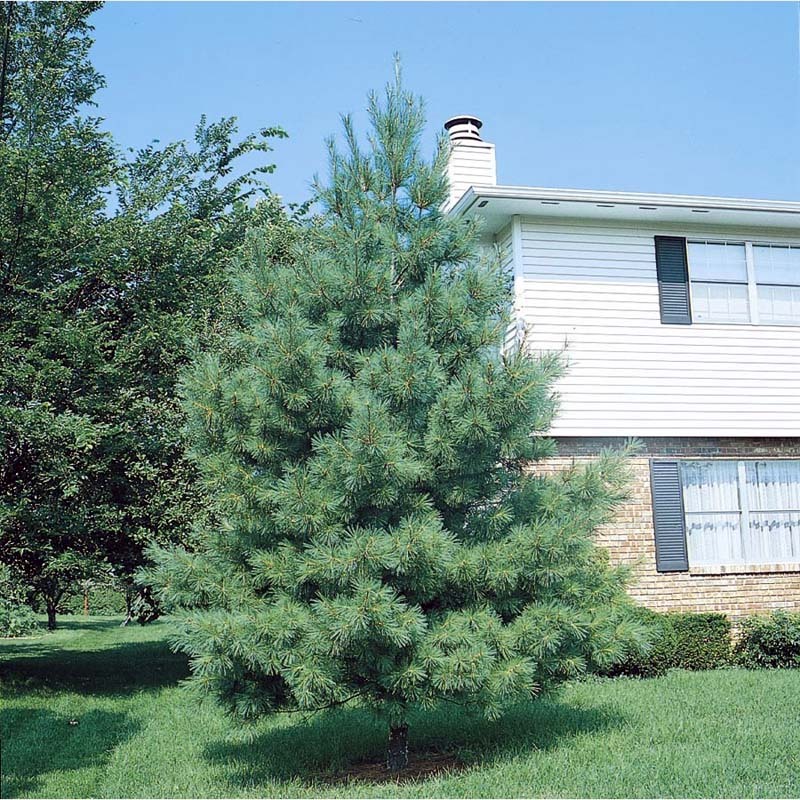 Grow Douglas fir in well-drained soil and protect from drought. Expect it to put on 1 – 2 feet of growth each year. 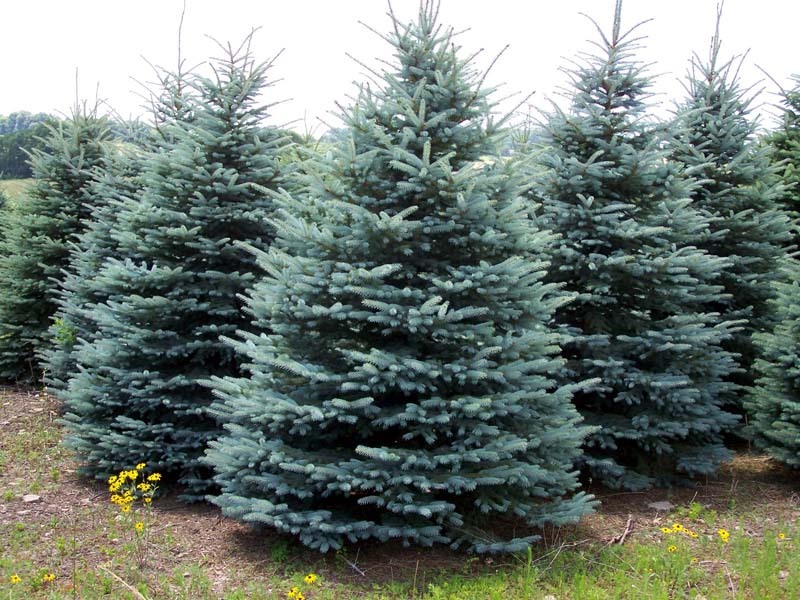 The Colorado blue spruce stands on its own among Christmas tree types, widely admired for the lovely silvery-blue color of its needles. These needles give off an unpleasant odor when crushed and have very sharp ends, but that doesn’t stop the blue spruce from finding its way into Christmas decorations around the world. As the name implies, it’s found in the Rocky Mountains of Colorado and the surrounding states, but can be grown more widely as it adapts well to many soils and climates. It grows at a rate of 1 – 2 feet per year, and requires little or no pruning to attain the perfect Christmas tree shape. 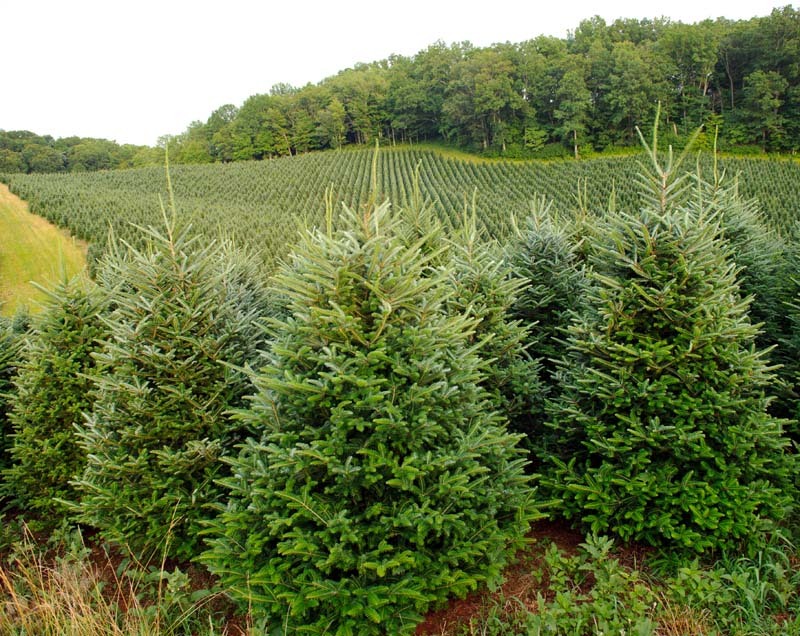 Similar in many aspects to the Balsam fir, Fraser firs are native to the Appalachian mountain region of the eastern United States. The short needles are dark green on the top and silvery green underneath, often giving the tree a bi-color appearance. It has a rich aroma, and retains its needles well after being cut. Grow it in cooler climates at higher elevations, provide well-drained acidic soil, and expect it to grow about a foot per year. 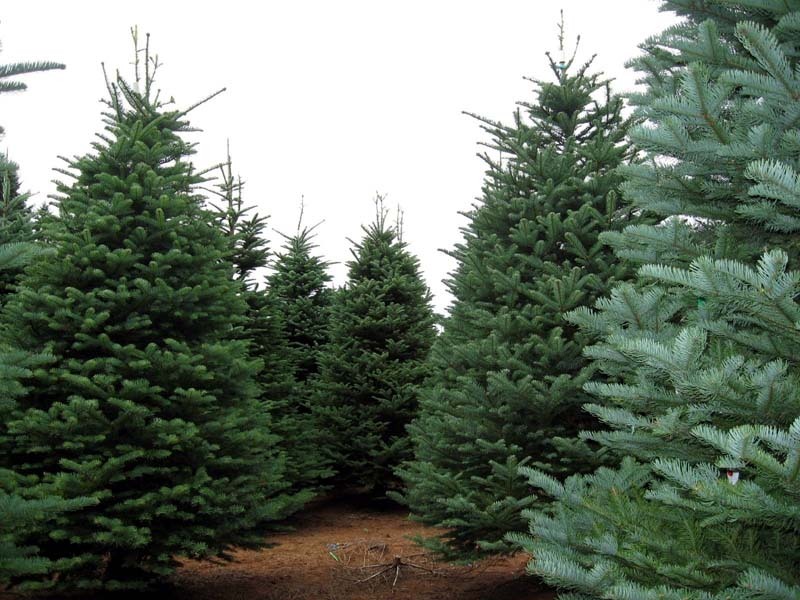 Fraser firs are narrower than some other common Christmas tree types, making them a good choice for small spaces. Native to the Cascade and Coast Range mountains of the Pacific Northwest, the noble fir earns its name with stiff sturdy branches and excellent symmetry. It grows best in cool moist soil but can tolerate rockier conditions if given extra irrigation. The cones on this fragrant fir are large, reaching more than 5 inches in length. It grows about a foot or two a year, with strong branches that curve slightly upward – excellent for holding heavier Christmas ornaments. Do Christmas trees grow in the desert? Perhaps not quite, but the Arizona cypress comes close. This tall, moderately-scented evergreen comes from the American Southwest and northern Mexico, where it thrives in warm dry conditions once established. 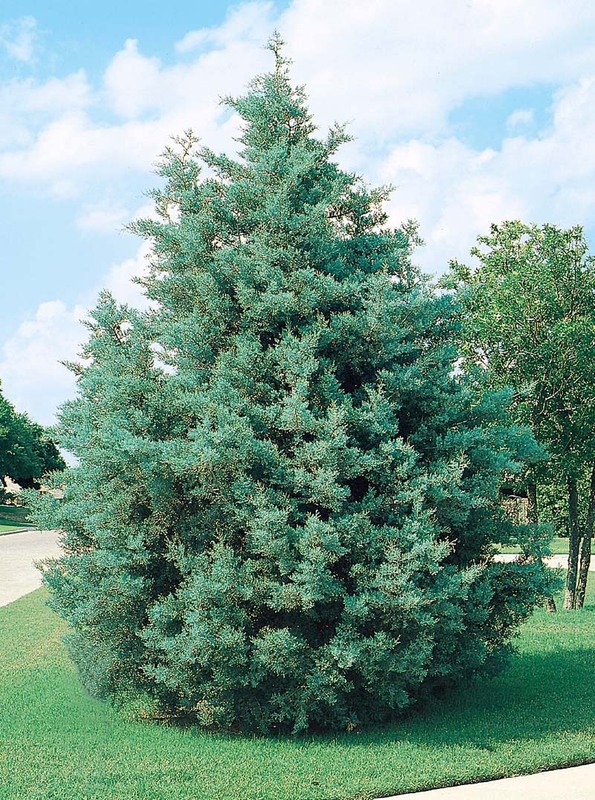 The bluish-gray foliage and conical shape make it an attractive and popular tree in many xeriscapes, and its fast growth rate (up to two feet a year) makes Arizona cypress a nice choice for a Christmas tree. Give it well-drained sandy soil and lots of sunshine. 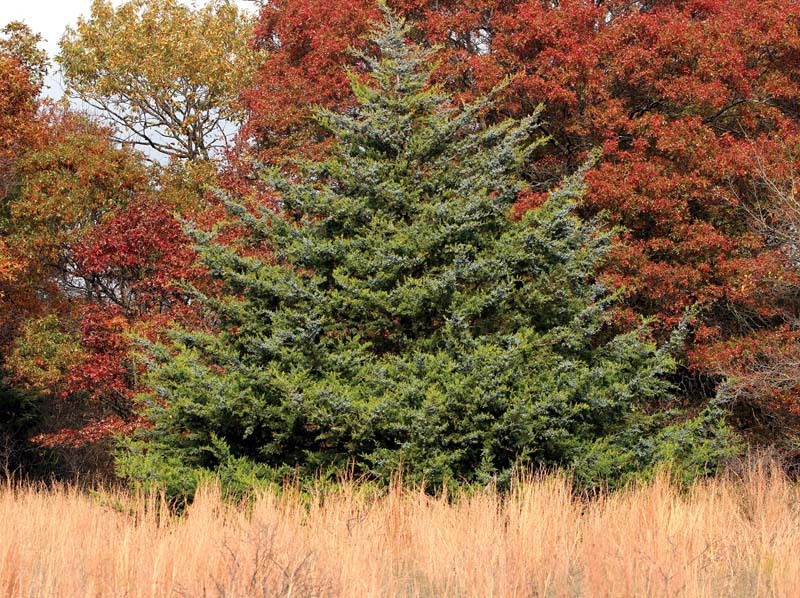 Red cedars are good choices for Christmas trees in the Deep South, since they’re able to tolerate the hot and humid summers that preclude pines and firs from thriving. The soft dark green foliage is accented by frosty blue berry-like cones that birds and other wildlife enjoy. It grows throughout the Eastern U.S. in nearly any soil conditions, adding about a foot or so a year to its height. The cedar aroma is a unique and instantly-recognizable addition to holiday fragrances.